Most people who know and love someone who is struggling with or in recovery from anorexia nervosa or bulimia nervosa want to say helpful and supportive things. However, sometimes even the most well-meaning person can say things that aren’t just unhelpful but can actually be triggering to the eating disorder. As you think about how what you say affects your loved one, consider these suggestions as a place to start thinking about what not to say. "Why Don’t You Just Eat?" 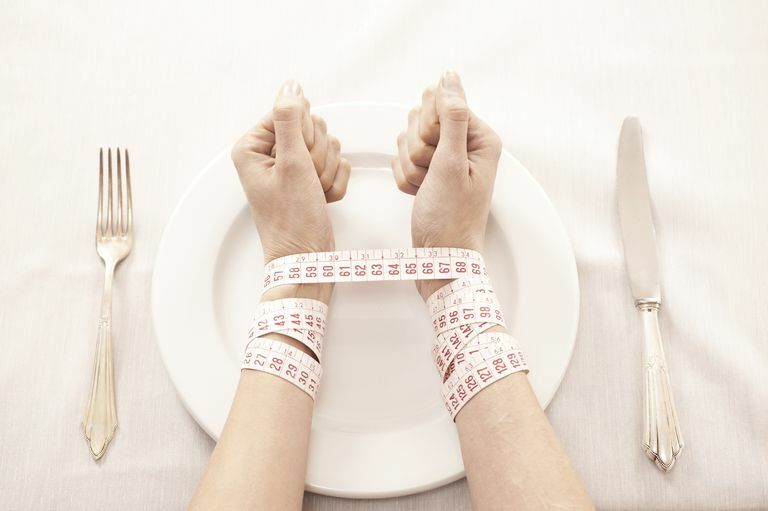 Eating disorders are puzzling illnesses. They are also serious mental illnesses. The idea that someone would be unable to nourish their bodies with enough food seems illogical and beyond understanding for many people. It is confusing when your loved one won't eat. It is tempting to say, “Why don’t you just eat?” Many people with eating disorders are exceedingly intelligent and competent in all other areas of their lives, resulting in people thinking that a logical argument can ‘fix it.’ However, there are complex biological, genetic, and socio-cultural issues at play that make the person unable to eat an appropriate amount. People with anorexia nervosa are terrified of eating and asking them why they won’t eat simply isn’t helpful. It can also seem blaming and shame-inducing. "Why Don’t You Just Stop Throwing Up?" If a person with anorexia or bulimia struggles with self-induced vomiting, they likely want to stop. Asking them why they won’t stop only serves to increase the amount of shame and guilt that they likely are already experiencing. Unfortunately, shame and guilt (and other negative or difficult emotions) can be triggers for future binge and purge episodes. "You Look Great/Healthy/Better Than Ever!" This one seems like it should be something that would be helpful to say. However, patients report time and time again that this is an incredibly triggering comment. Unfortunately, eating disorders can change the way a person perceives different words. Because a person with anorexia (or bulimia) may need to gain weight as a part of treatment, the eating disorder will cause any comment noting a change in appearance to be confirmation of the weight gain. Thus, to an eating disordered mind, healthy means fat. "How Have You Lost So Much Weight? What Diet Are You On?" Our society praises weight loss and people constantly want to know about the newest and best way to lose weight. However, if a person with an eating disorder is losing weight and gets positive feedback from other people about weight loss, this can encourage disordered eating behaviors. It is best not to comment on appearance at all. Focus on other things such as your being so happy to see the person or the person being in a good mood. Alternatively, ask about other non-appearance related qualities of the person. These may seem like words of concern but the eating disordered mind often equates unhealthy with thinner. And thinner is the goal of the eating disorder. In general, it is a good policy to avoid any reference to the person’s size, shape or weight. "I’m Glad You Ate Dinner/Lunch/Breakfast"
Avoid commenting on what a person with an eating disorder has eaten unless it’s part of a treatment plan such as Family-Based Treatment (Maudsley). People with anorexia and bulimia often believe that other people are watching what they are eating and judging them for it. Commenting on what they have eaten only serves to confirm this to their eating disorder. Even when a family is using an FBT approach, successes in eating are typically not reinforced because such comments increase the patient's guilt over disobeying the eating disorder. "I Shouldn’t Eat This Dessert/Does This Dress Make Me Look Fat?/I Feel Fat Today"
Avoid ‘fat talking’ about yourself. Many people with eating disorders are hyper-aware of what people around them are eating, how much they weigh and how they look in their clothing. Commenting negatively on your own body can make a person with anorexia or bulimia even more focused on weight and food issues. Instead, examine your own relationship with food and weight. Focus on accepting yourself, as you are. Being around body-positive people is helpful to people with eating disorders. Even if you don’t think you know anyone who has an eating disorder, fat-talk is still a great topic to eliminate from your conversations. Finally, be aware that individual or even repeated comments do not on their own cause an eating disorder. Thus, if you have said any of the above things to your loved one, do not beat yourself up. You can focus instead on being more supportive going forward.